Off for the weekend! Thanks to the stylish overnighter made from canvas (100% cotton), every short break becomes a relaxing holiday. Attached to the suitcase or worn over the shoulder, the well-designed travel bag offers plenty of space for sophisticated lifestyle travellers. The stylish overnighter with a volume of 45 l features a large opening with an XXL zipper in which clothes and cosmetics can be stored for the weekend. 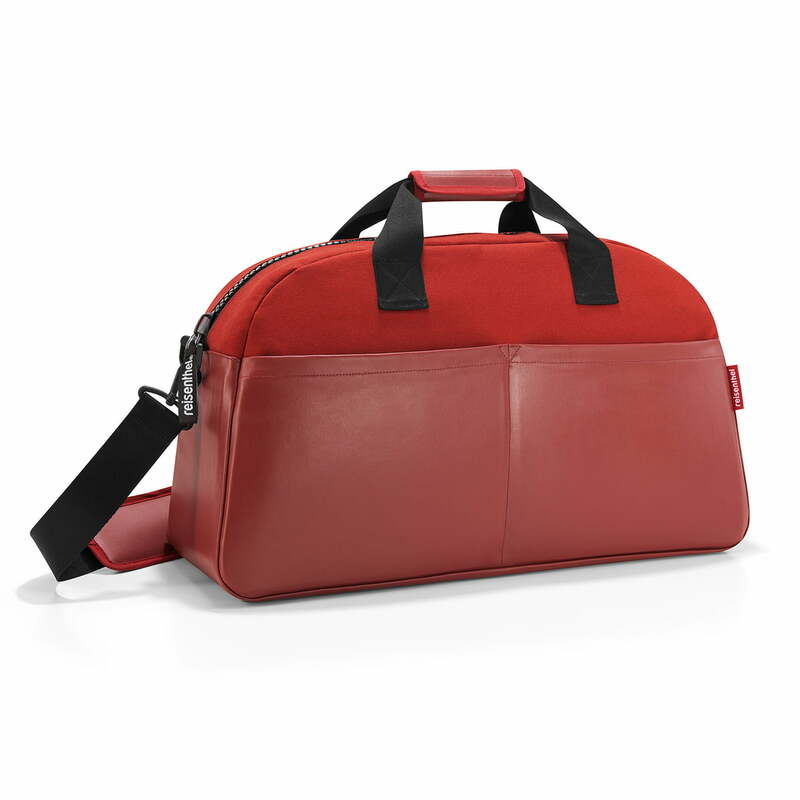 Alternatively the bag can be used for the gym, easily accommodating towels, trainers and gym clothes. Two smaller pockets on the inside and outside as well as a zip pocket are ideal to store other items such as a mobile phone or wallet. 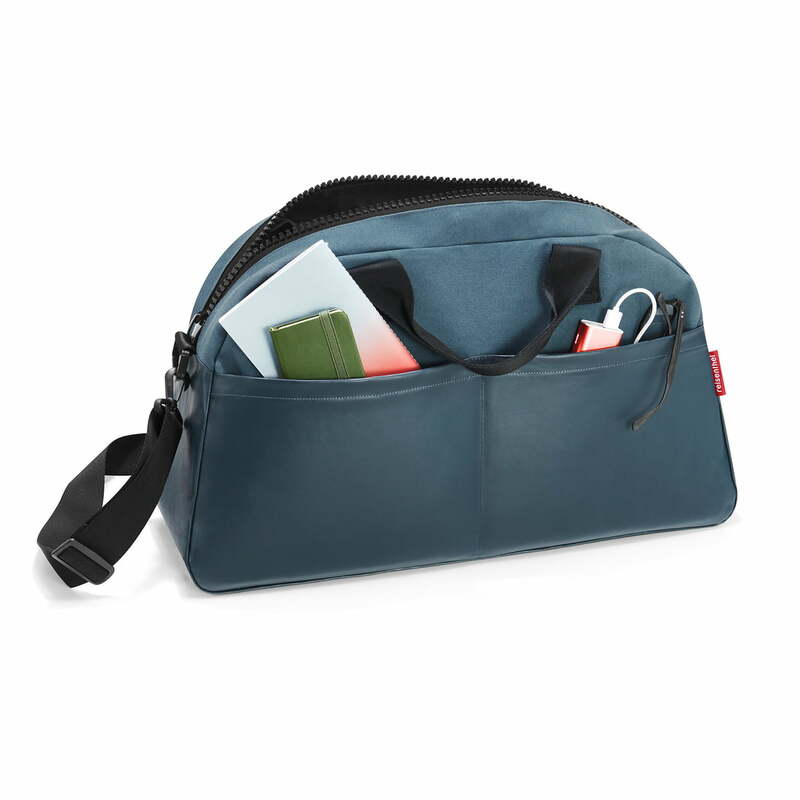 In addition to two carry handles that connect through Velcro, the travel bag also includes an adjustable shoulder strap that is comfortable to wear thanks to the padding. A practical suitcase strap makes it possible to attach the bag to larger luggage. 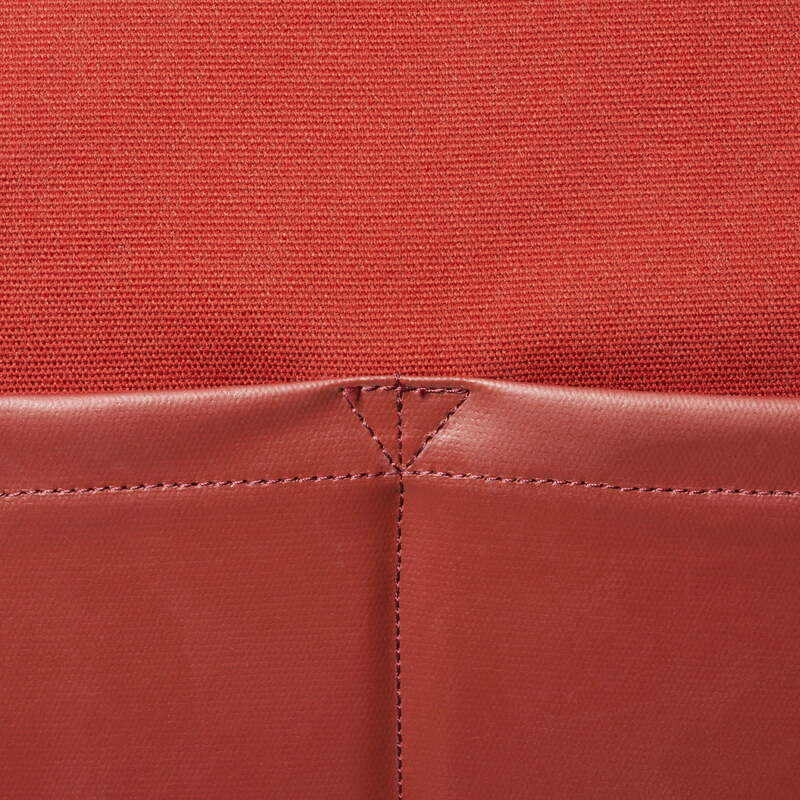 Made from 100% cotton, it has a modern look achieved through a combination of two refined surface textures, making it a real eye-catcher on the road. overnighter canvas by reisenthel in Russet: Off for the weekend! Thanks to the stylish overnighter made from canvas (100% cotton), every short break becomes a relaxing holiday. overnighter canvas by reisenthel in blue Attached to the suitcase or worn over the shoulder, the well-designed travel bag offers plenty of room for sophisticated lifestyle travellers. overnighter canvas by reisenthel in Russet: Two smaller pockets on the inside and outside as well as a zip pocket are ideal to store other items such as a mobile phone or wallet.